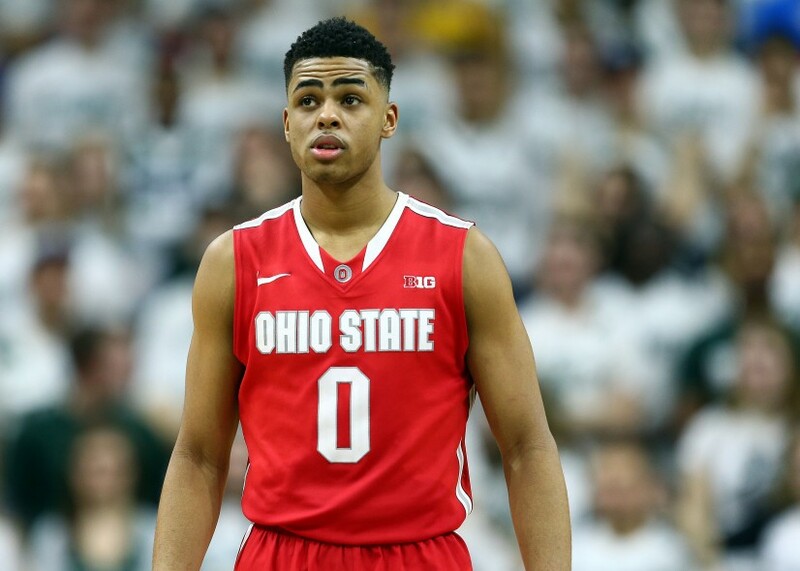 Ohio State shooting guard D’Angelo Russell appears to be a younger version of Houston Rockets superstar James Harden. In my mock draft piece last week I mentioned that I thought passing on D’Angelo Russell at #2 would be a mistake for the Lakers. The biggest reason I felt that way is because I think Russell is the next James Harden. In this video I take a look at a number of similarities between the two players from the 2014-15 season, specifically how they score the basketball. In a future post/video I will examine how both are similar as creators. Both are lanky, ball-dominant, lefty, shooting guards with similar styles of play. Both can shoot the ball, score out of isolation and ball screen situations and create for teammates. Harden and Russell are both also dangerous in transition and adept at drawing fouls. It would be unfair to expect Russell to come in and be as effective as Harden from day 1, but I think that within the first three years of his career, the Ohio State product will be on the same level as Harden. The way Ohio State and Houston run their offense and the different ways college and NBA teams play defense make it impossible for Russell to replicate Harden’s game exactly, but I would say the similarities are uncanny. This entry was posted on May 30, 2015 by Coach Sass in College Basketball, NBA, Video.